Standing tall across from Lake Merritt, the Tudor Hall Apartments displays a classic example of spectacular Tudor-style architecture. The ornate building entrance gives way to an enormous wood-paneled lobby with an oversized fireplace. This seven-story brick building embraces historic architectural living in the middle of Oakland’s Lake Merritt neighborhood. Tudor Hall Apartments is just a short stroll from Oakland’s financial district and a three-minute drive from Whole Foods Market. 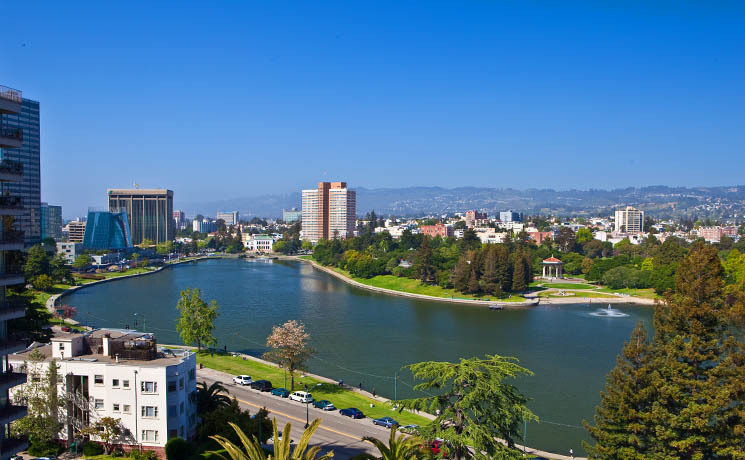 Whether enjoying a morning walk around Lake Merritt or a coffee break from a quaint coffee house, Tudor Hall Apartments has the address to impress all. Select units include fireplaces, hardwood floors, vaulted ceilings and detailed moldings. Many units within this storybook property have incredible views of Lake Merritt and Lakeside Park. The Tudor Hall Apartments has spacious studio and one bedroom apartment homes. For questions regarding available units at The Tudor Hall Apartments, please contact the on-site manager, Lori Miller, at the number below. Please note that unit viewings are by appointment only. The Tudor Hall Apartments is owned and managed by the Tudor Hall Apartments, LP.